Who doesn't love a trip to the beach? You and your dog can have a great day at the beach if you come prepared. Do your research; make sure the beach you want to go to is dog friendly. Be sure to follow all the rules of the beach. Keep an eye out for buried objects in the sand like garbage, broken glass, old fishing gear, food, and even jelly fish. Respect the other people on the beach and everyone will be sure to have a good time! Dogs burn too! Especially light colored dogs and short haired dogs. Be sure to bring along dog friendly sunscreen that you can rub on their noses and their ears. Make sure the sunscreen doesn't contain zinc, it's toxic to dogs. Always be sure to bring an umbrella to provide shade and provide plenty of fresh drinking water. The hot sand on the beach or the planks of the boardwalk can burn your dog’s pads, just like it burns your feet, if it's too hot for you to walk on, it's too hot for them! There is a product called Musher’s Secret that provides protection for your dog’s pads. 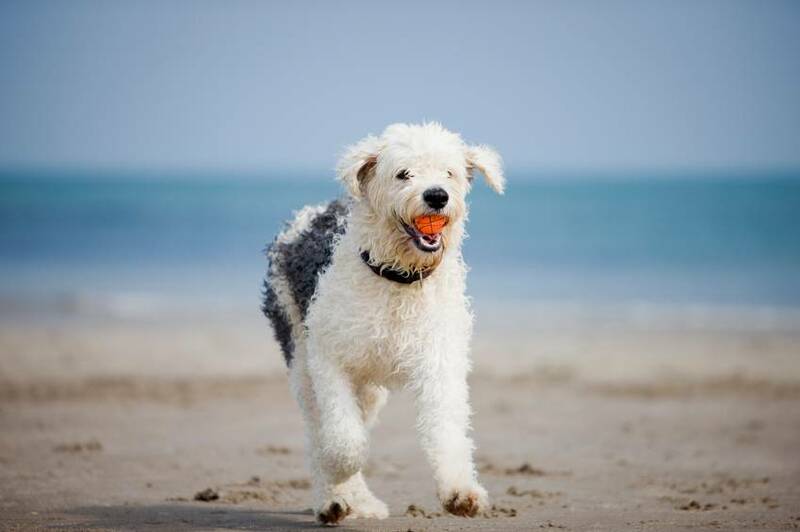 Be sure to rinse your dog’s paws after a day at the beach to remove sand and other debris from the webbing. When your dog is in the water, be sure to monitor the conditions. A strong surf can be dangerous even if your dog is a strong swimmer. Don’t let your dog drink the salt water. You don't know what contaminants are in it and also salt water will dehydrate your dog. Always remember to have an ID tag on your dog, just in case. Bring the essentials; food, water, poop bags, and a first aid kit. Knowing the dangers will help you to avoid them and keep everyone happy and healthy this summer. Go out and soak in some rays with your furry friend!